Click here for the dulce de leche recipe which uses sweetened condensed milk as the one-and-only ingredient. There’s a fun backstory, too. 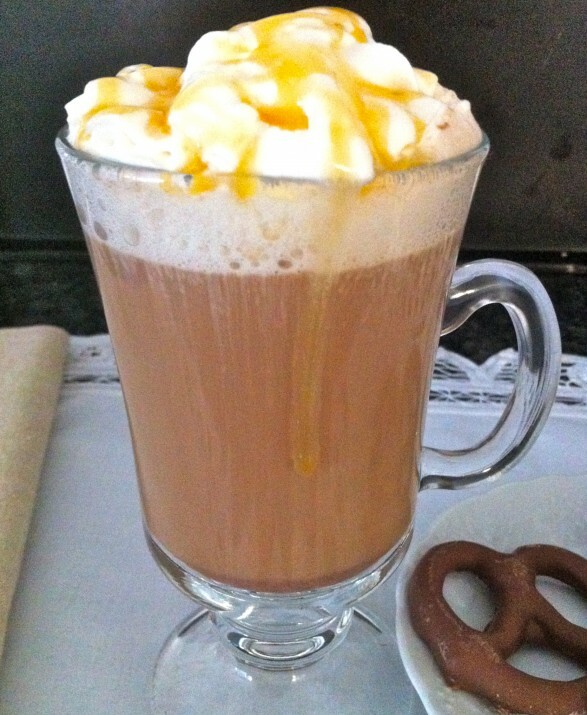 The cook time specified for the syrup consistency is best for using in lattes. If you have an espresso maker, you can use espresso instead of the strong coffee. Heat milk in microwave or on stovetop until very hot. 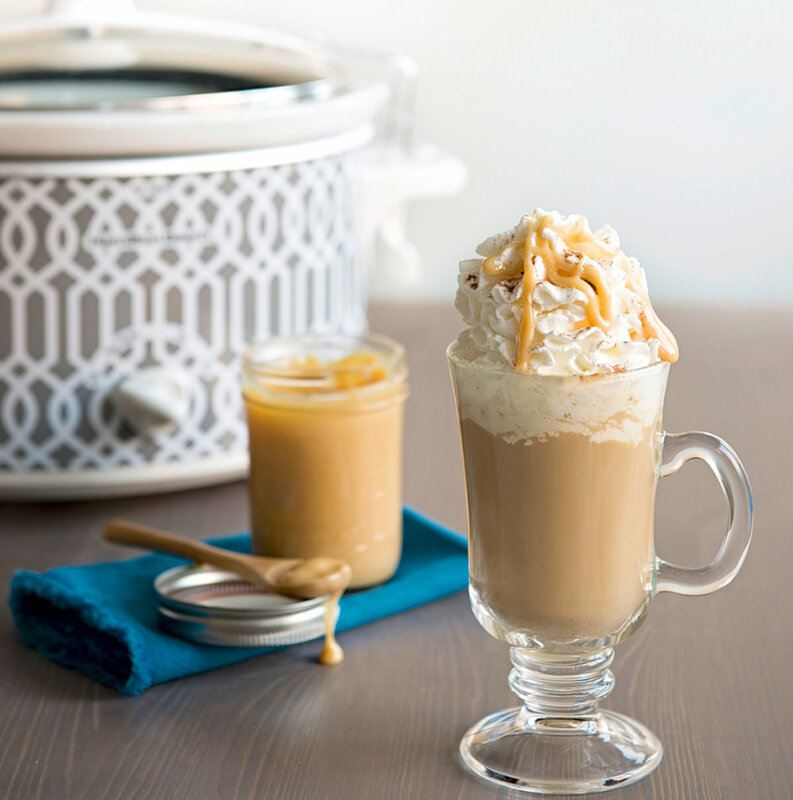 Pour into brewed coffee along with the dulce de leche. Stir well, top with whipped cream if using, and enjoy! 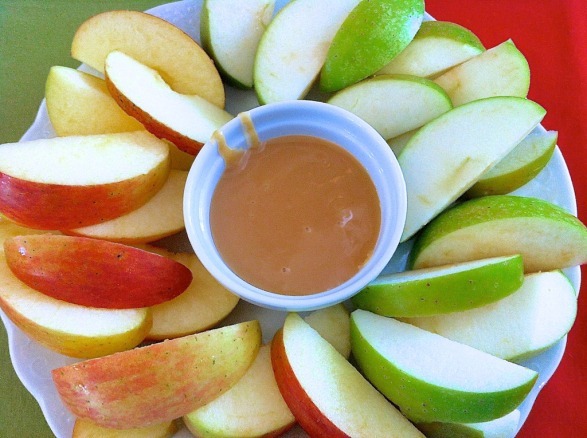 Homemade Dulce de Leche is a delicious option to caramel on apples. 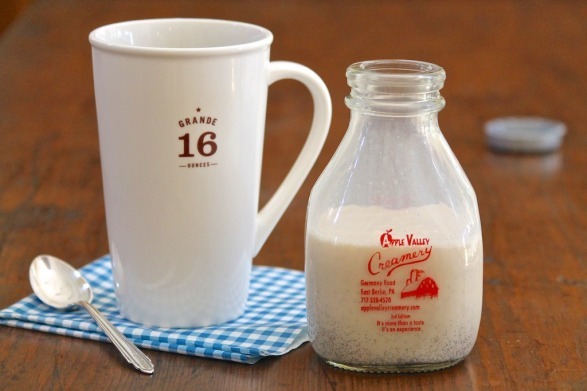 For another DIY coffee option–French Vanilla Coffee Creamer. I need to get some sweetened condensed milk and try this. Think I will add some sea salt to it to make salted caramel latte. Mmmmmm! Sea salt is a brilliant idea, Mary Lou! Hi! I just wanted to let you know I am including this in a 35 Christmas party appetizers and drinks collection over at Mommy’s Sweet Confessions. Thank you! That is great! Thank you for letting me know, Lindsay. Feel free to share a link when it is ready! You can order Caramel condensed milk from South Africa. In Canada there were online shopping companies – Out of Africa Trading and Jacaranda trading. The Caramel Condensed milk is a Nestle product. It will save a lot of cooking time. Thanks for the great tip, and perhaps it will make it over our way soon!